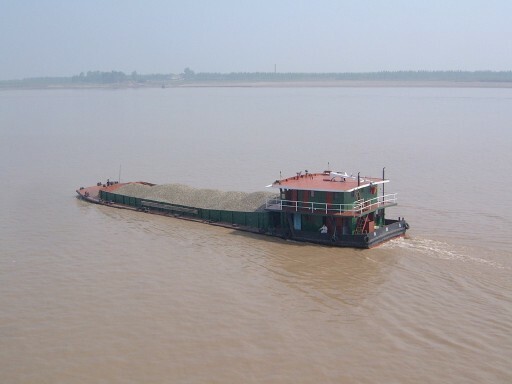 A barge is a boat with a flat bottom, mostly built to transport heavy goods along rivers and canals. Some barges cannot move themselves, and must be pushed or pulled by towboats. Multiple barges pushed around a tight bend on the Cumberland River. Horse drawing a barge along the towpath of the Kennet and Avon Canal, England, UK. Coal barges passing Heinz Field in Pittsburgh, Pennsylvania on the Ohio River. Barge Facts for Kids. Kiddle Encyclopedia.